Since we just opened our Christmas presents and we are still in the holidays mood, today I want to talk to you about something very special and dear to me. As you may imagine from the title, this story is about LEGO. Hello, I am Alex, I am 31 years old and I am an AFOL. What’s an AFOL? Well this is what I am going to try to answer below. I’ve experienced and played with the bricks as a child, as many of us may have done. At some point in my childhood, for various reasons, the contact with the plastic bricks got lost and I lived for many years totally ignoring their evolution. In 2009 I have associated with a friend and together we created a design studio which we named Nocturn. I’ve designed our logo and because of the name and also because of our nocturnal working schedule and lifestyle, I have used for our symbol a bat. In time, I grew more and more fond of the bat icon which I decided to use as my personal logo when, in 2011, I started a separate, independent, freelance direction. Because of the bat symbol my friends, colleagues and even clients started to make Batman related jokes, therefore at some point in 2014 I have tried to find an item, a toy, a figurine to be used as a mascot. A fast online search led from this to finding out that LEGO created a whole Batman dedicated series in 2006-2008 and then another one in 2012 based on the DC Comics Super Heroes including the Dark Knight. Building my first set after 20 years of break was such an amazing experience, it instantly made me want more. So, I have ordered another Batman set, followed by a Castle themed set, and then another Batman, another Castle, you get the idea, there I was hooked and mesmerized by all this ‘new’ experience, growing and feeding the child inside me. If it wasn’t obvious already my favorite themes are Batman / DC Comics Super Heroes and Castle while my favorite sets so far are 7782 The Batwing: The Joker’s Aerial Assault released in 2006, especially for the BatWing and the 2013 Castle series with 70404: King’s Castle. Searching for sets lead me to discovering large active communities, both local and international. It was a big surprise for me to see how many friendly and creative people are involved in them. I have learned that there is also a specific vocabulary. 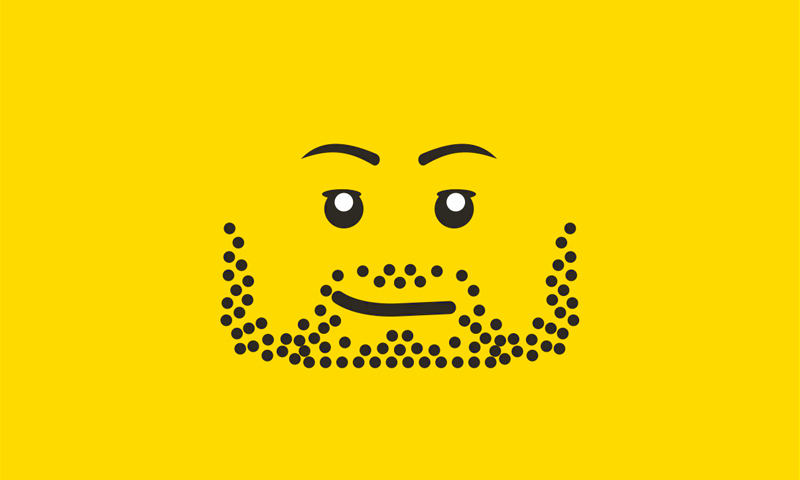 For example LUG stands for LEGO user groups / communities, free personal builds are called MOCs (an abbreviation from ‘my own construction’) while changing a standard set is called MOD (modified). Another one of them, ‘Dark Ages’ describes the pause between playing with LEGO as a child and loosing the interest until rediscovering it and building with bricks as a teenager or adult, when using bricks is no longer called playing but a having a hobby. TFOL is an abbreviation for teen fans of LEGO while AFOL comes from adult fan of LEGO. TLG – The LEGO Group, the name of the mother company. And there are many more. People join these groups and share their collections, but also (if not mostly) their own creations. They exchange ideas, sets, bricks, advises, they gather together and organize both online and real life contests and competitions, they publish monthly magazines and reports, tutorials, reviews of released and even future sets, they stay unite and connected and they support each other in this passion. They even organize large meetings and expositions where they showcase their latest, biggest, craziest constructions. Further more, the fans even created a stock market unofficial shop where they sell everything LEGO related from parts, bricks and minifigures to rare, old, collectible sets – BrickLink. 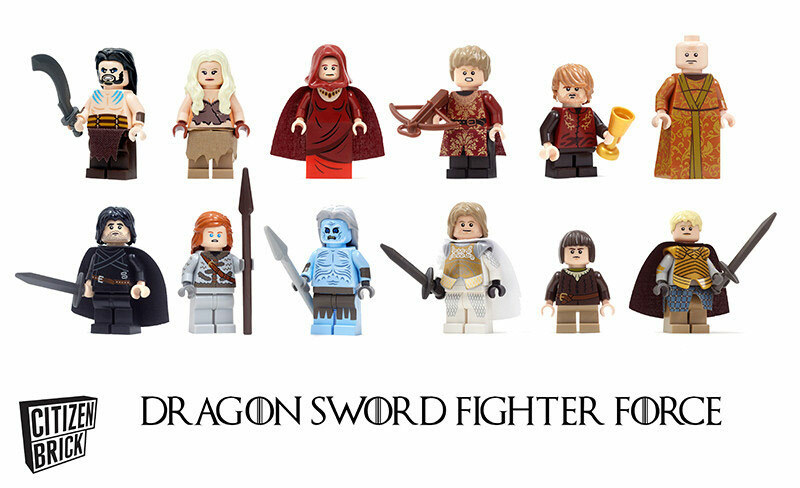 There are also fans which created their own businesses designing, building and selling custom parts like weapons, uniforms, custom minifigures etc. The LEGO Group mentions that they were quite shocked about everything that was happening in these communities because all these actions happened based on what the clients wanted to do, events they wanted to organize, something that the group didn’t planned and it was out of their control. After a more reserved start the company begun though to get involved and to interact with the fans and moreover to support their collective actions. 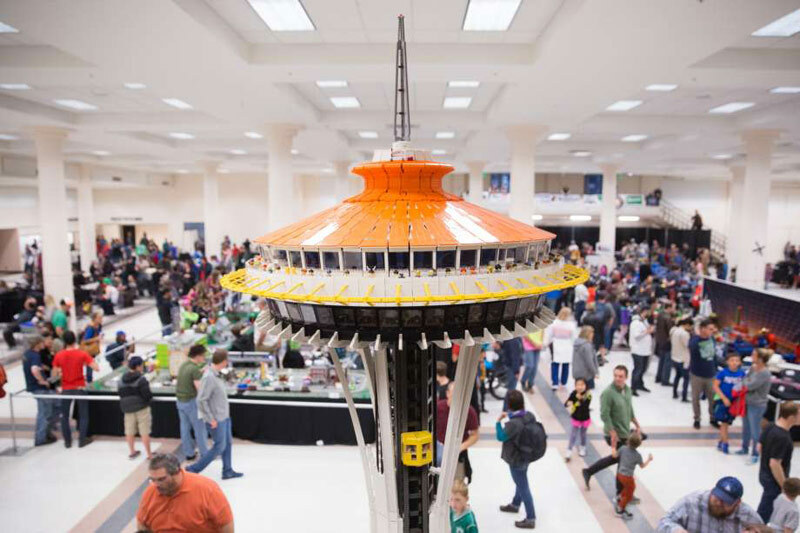 One of the biggest dedicated meet-ups (if not the biggest one) is the BrickCon annual convention in Seattle, US, ‘where everyone is invited to view thousands of hobbyist-built LEGO® models and displays created using hundreds of thousands of LEGO® pieces’. 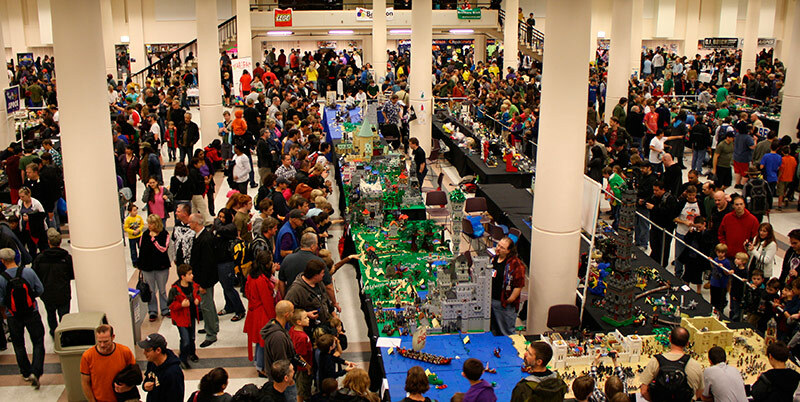 BrickCon is also the place and event where both fans and official designers compete in small creative challenges. 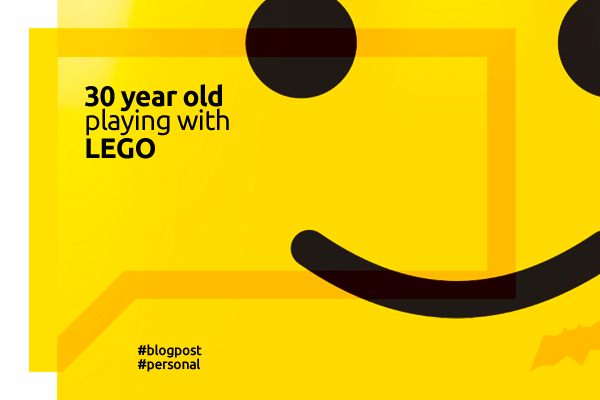 For some, using LEGO ‘is like being a child for the rest of my life’ as one of the team designers say. But LEGO is more than a toy, it is a creative tool that unlocks imagination in new ways, because of the interlocking system it is a new creative medium and system leading to interactions and communication, people expressing themselves with the help of the bricks. The ways and forms in which these plastic bricks are used took me completely by surprise, so I will try to share some with you. Of course, the first category is formed by the children, the main focus market of the brand. We are all already familiar with the playability potential and that there are endless possibilities of constructing using the bricks and how this is a very good if not the best tool to expand the child’s imagination. So, I will focus below on the next large category, the AFOLs, the Adult Fans of LEGO. ‘That’s I think what people think an AFOL is – just the big guy living in his parents’ basement. Just kinda tapping at the computer all day long. Well, if that’s not an AFOL, what is? Blue collar, white collar. Programmers, construction guys. School teachers. Executives. People working in science and industry. Geeks, strangers, weirdoes. 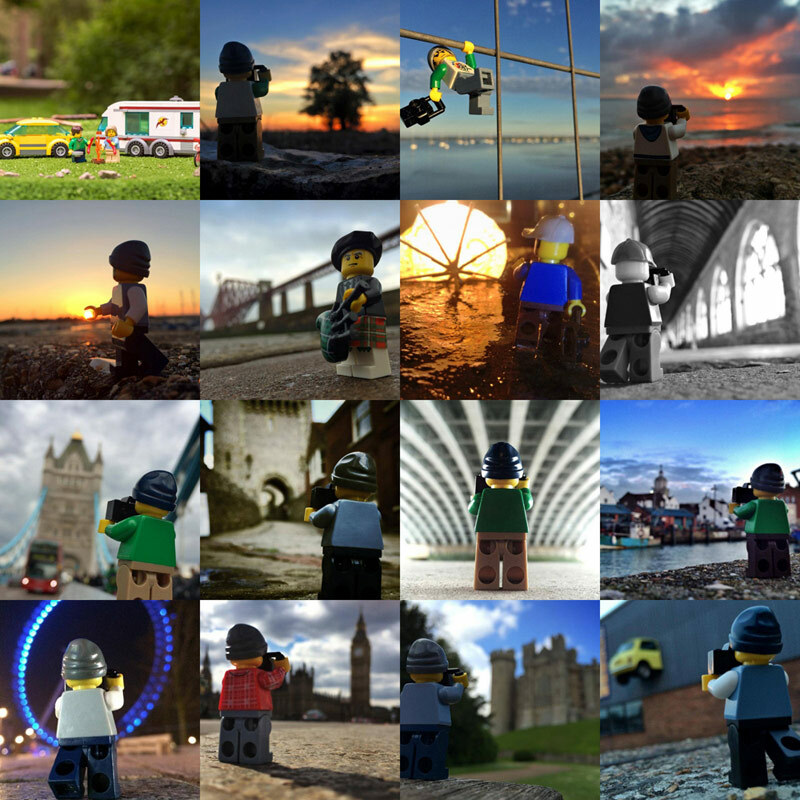 People like me.’ – A LEGO Brickumentary. Many people are challenging the imagination by creating amazing constructions using parts and bricks, combining many types of building techniques, both conventional and unconventional. The most advanced creators and brick artists are called ‘master builders’. 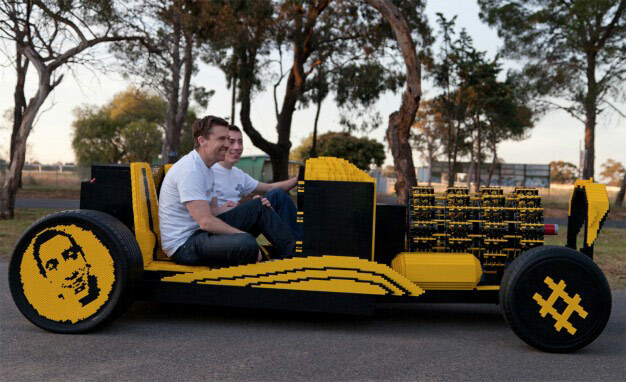 People create crazy things: a Romanian and an Australian created using only bricks a drivable real life size LEGO car powered by air, even the engine being made out of bricks! An engineer at Apple recreated a 2000-year-old greek device used to determine celestial events, Larry Page from Google created an inkjet printer out of bricks, and with his colleague Sergery Brin even build their first server out of bricks. 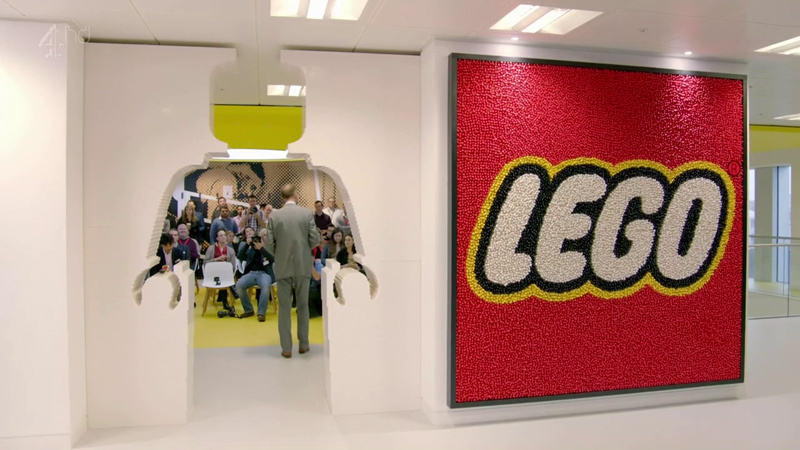 James May build an entire working LEGO house. The fans are always challenging themselves to break the record for the tallest LEGO buildings and structures or the biggest great ball contraption. Some create kinetic sculptures others build accurate orrery (a clockwork model of the solar system, or of just the sun, earth, and moon). There are sooooo many amazing and incredible builds and projects out there! 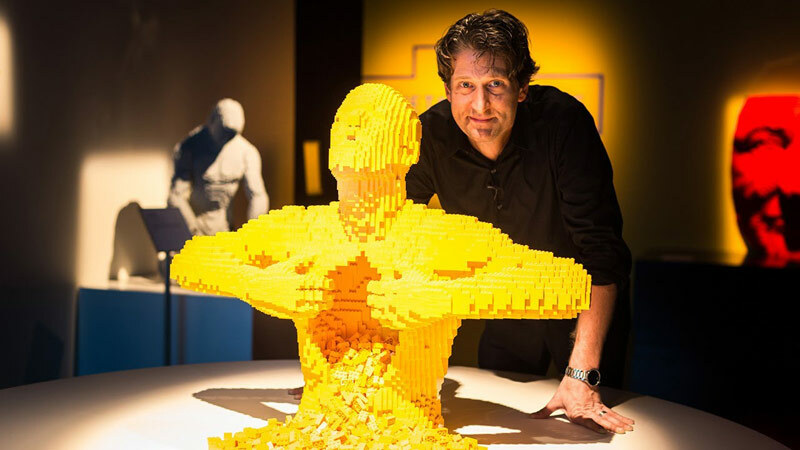 There are artists like Nathan Sawaya who build custom three-dimensional sculptures and large-scale mosaics from the standard LEGO bricks. Some others replicate famous art pieces, while there are artists that use the LEGO bricks even in their street art projects. 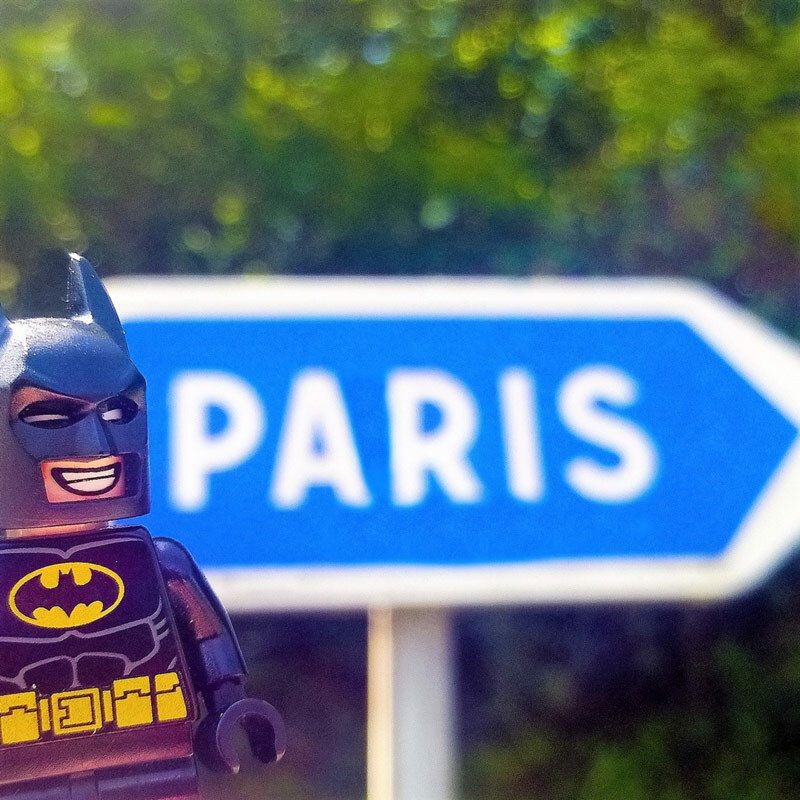 We have people traveling locally and around the world accompanied by their favorite minifigures, taking photos in popular places and visiting famous landmarks. 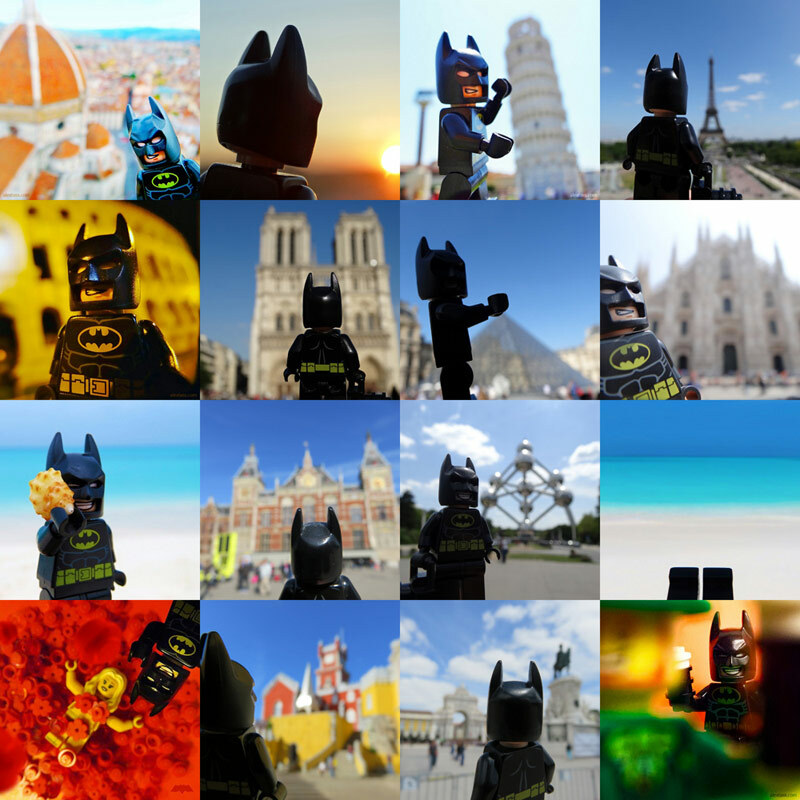 Legography and The Lego Backpacker are just two of them. In fact I discovered that on Instagram and Flickr there is an entire amazing toy photography universe. 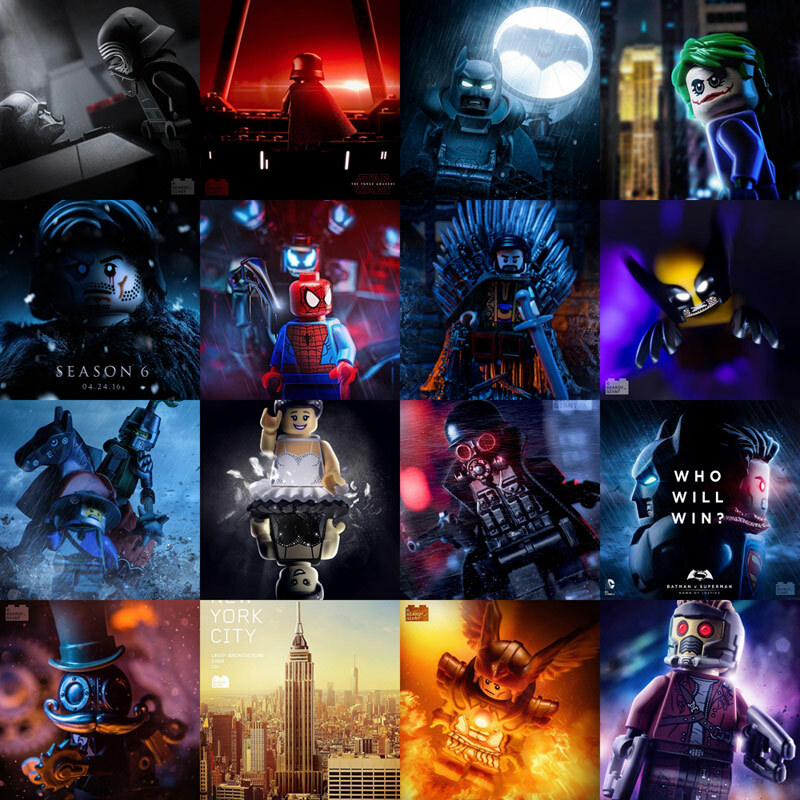 Just check some of my favorites beardy_giant, avanaut, samsofy.s, east_mountain, legendsoflegobatman, kiyoungphoto and you will get a good idea on how impressive their imagination, photographic and artistic skills are. Some are using this hobby in order to relieve stress, even David Beckham talking about this. There are even more deep implications with people that actually used LEGO to help recover from depression or even for other medical reasons. A doctor for example introduced LEGO bricks to children with autistic problems, helping the kids to communicate, interact and socialize creating an anxiety-free zone – only by building in groups together, only by communicating, they reach to a final product showing significantly improvements in their health by increasing concentration, focus, personal satisfaction, giving them a feel of proudness and accomplishment. 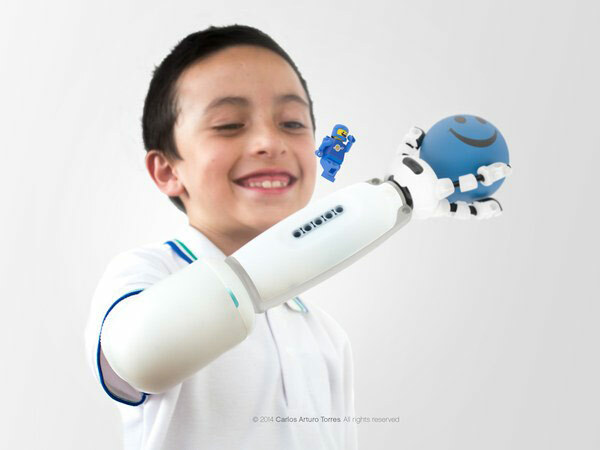 Talking about medical usage, there were created even prosthetics that can be endlessly customized with LEGO pieces so that kids can make it whatever they want it to be. 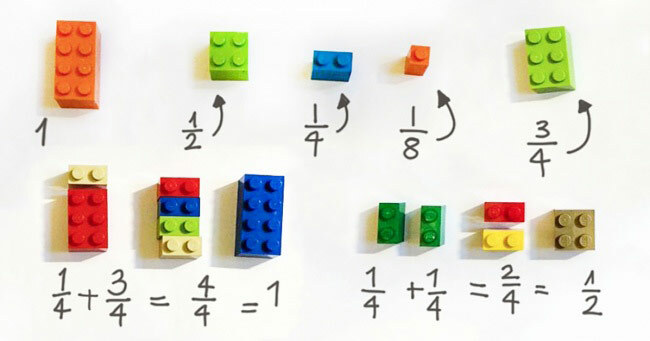 Also, being a familiar medium you can even use the bricks in order to teach children math. LEGO bricks are helping people to present ideas, to get jobs, and they even inspired architects to work using modular elements by presenting buildings as LEGO models. The bricks are also used in advertising agencies to visualize stats. Even NASA uses bricks to imagine the design and visualize possible directions for their space missions. A London based studio turns toy building blocks into a digital modelling kit that understands what you create and what you are seeing, transferring the designs into real-time digital files offering you endless possibilities from digital crafting to 3D printing at any scale. 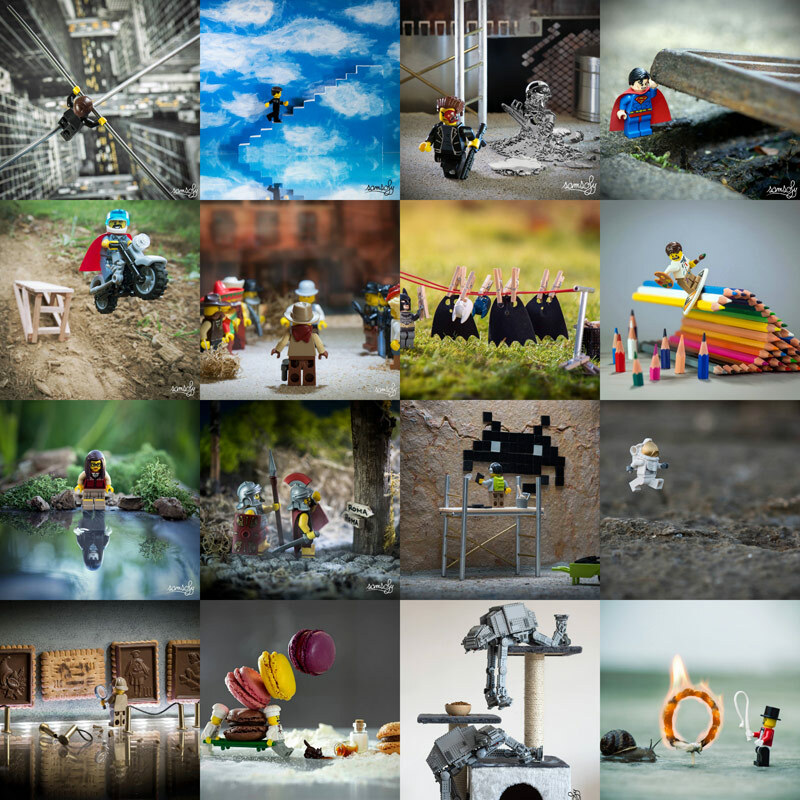 Some other fans are creating video art and experiments using LEGO bricks and minifigures, making stop-motion animated movies or remaking popular scenes form movies and movie trailers. There are more than 30 million videos on Youtube tagged with LEGO. The Lego Movie, a 2014 3D computer-animated adventure-comedy film produced by Warner Animation Group was done using computer graphics inspired by such stop motion animations. The film tells the story of an ordinary Lego minifigure as he ends up becoming involved in a resistance against a tyrannical businessman who plans to glue everything in the Lego worlds. The film quickly expanded into a franchise which ties to the Lego brand, with two spin-off films, The Lego Batman Movie and The Lego Ninjago Movie, to be released in 2017, a sequel scheduled for release on February 8, 2019, as well as a third spin-off, The Billion Brick Race. Based in Billund, Denmark the company name is made from the first two letters of the Danish words ‘leg godt’, meaning ‘play well’. The LEGO Group patented the LEGO brick with the familiar tubes inside and studs on top on 28 January 1958. All 2 x 4 LEGO bricks manufactured since have been produced to the exact same measurements as this patent. The Lego Group sells various themes of its LEGO construction toys. While some themes and sub-themes are still in production today, some were discontinued. Each year TLG launches one or even a few waves of new products in the continuing themes. You can find on Wikipedia a list of all the themes, both active and discontinued. Also, LEGO has a video game for every major movie franchise from the Hobbit to Star Wars as LEGO CFO mentions kids don’t make the distinction between the digital and non-digital like those of us who weren’t brought up in the digital age, for them it’s all just one experience. Although one would expect to see such a company always having a profit in 1999 The Lego Group experienced the first annual loss and for the next 4 years they’ve experienced problems because they were focusing on too many directions and creating too many custom different parts, creating the wrong products -which some didn’t even need construction, fearing that their brick will become irrelevant, all this time ignoring the community voice. The comeback was introducing Mindstorms, which combined LEGO and computers, targeting children and considering that they will play with this new series in a prescribed number of ways. What happened in fact is that it attracted attention to all sorts of ages, half of the sales in the first year being made for adults. In the first months thousand of people took the system apart hacking the system. The LEGO Group was wondering if to take a an aggressive protective controlling route, but after a lot of thinking they decided to be opened accepting that 99.9 of the smart people in the world don’t work for them. Accepting fans ideas and constructions, even like implementing a new theme such as Architecture based on the idea and development of a fan, proved that TLG can work with individuals, creating energy, the hope that the company can make more things. In 2008 Kohei Nishiyama has helped open the doors to creativity from the Lego community. 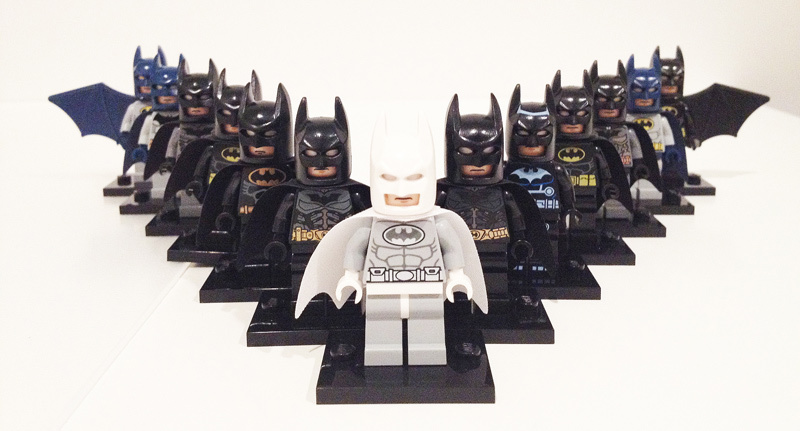 Being an expert in crowd creation Kohei worked with LEGO to create a platform that brings fans dreams to reality. He called his project Cuusoo which means dream or wish. Later Cuusoo became LEGO Ideas. Users can add their ideas and if they reach 10k votes TLG is considering internally if to produce the set. In September 2014 LEGO became the largest toy company in the world. The products from The Lego Movie boosted the company revenue by 11%. Today LEGO is considered to be a ‘better investment than shares and gold’ concludes The Telegraph. Investors were able to secure a better return buying LEGO sets over the past 15 years than from the stock market, gold or bank accounts, a Telegraph analysis found. 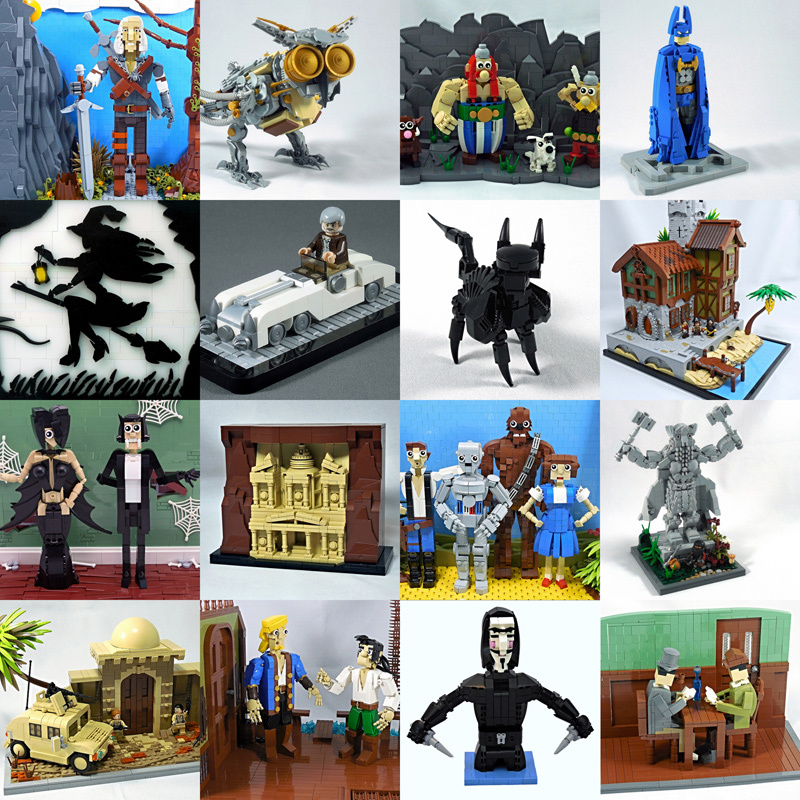 ● BrickSet is a database of all LEGO sets, old, new and even future releases. All themes and years are included and for each set you get a few representative images and all the available information: release year, number and list of parts, number and list of the minifigures, age range, weight, retail prices and more. ● BrickLink is the biggest unofficial LEGO marketplace, a good and very well organized place where you can find rare and old sets (some even in mint condition in sealed boxes) and many second hand sets, bricks, parts and minifigures. ● How about renting sets? I must say that I am a proud owner of a 76023 The Tumbler, the LEGO version of the Dark Knight / Batman car from the Christopher Nolan movie trilogy, my favorite Batman cinematographic representation. I also joined the best local community RoLUG where I have discovered some amazing, friendly and creative people. I have created a few logo proposals and some poster artworks for our exhibitions and local events. 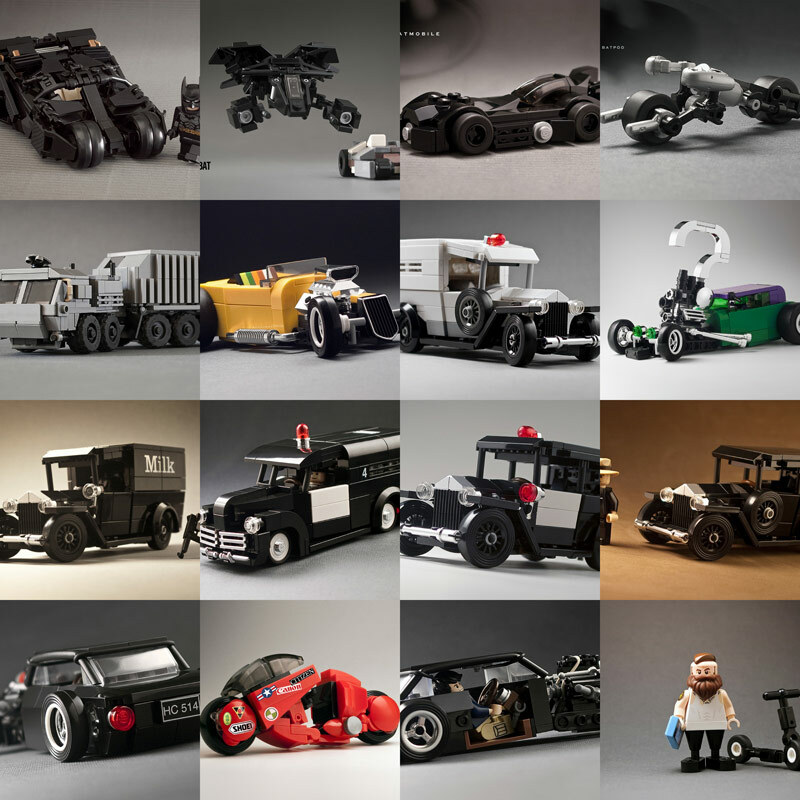 I uploaded some of my LEGO related designs to my dribbble portfolio. Further more I am happy to say that I have participated both with individual and collective creations to exhibition organized by our LUG, events organized by friendly LUGs and even had one of our creations in the window display of one of the official LEGO stores. As an adult LEGO fan, as a collector and as a builder, I wanted to share with you some of the experiences that I have had since I’ve (re)discovered the bricks universe, some of the information that I’ve learned and gathered from various sources. I also wanted to make you more curious about this phenomenon, and why not, to wake up the child inside you. I hope that I have achieved this and I am looking forward to see your collection and MOCs.